Of course I had a take on the bell tower, too. It went something like this: The Florentines chose Giotto to design the bell tower because he was the most famous artist at the time (circa 1330). Giotto was a fresco painter, not a bell tower builder, so they gave him a good contractor and said “go for it.” Giotto died before the first layer was finished, so a guy named Pisano was hired. He almost finished the next layer with the sculpture-containing niches when he, too, died. Then a man named Talenti was brought in and he lived through the completion of the bell tower, so to be Florence’s bell tower builder wasn’t a completely cursed job. Now all I had to do was figure out the true story. 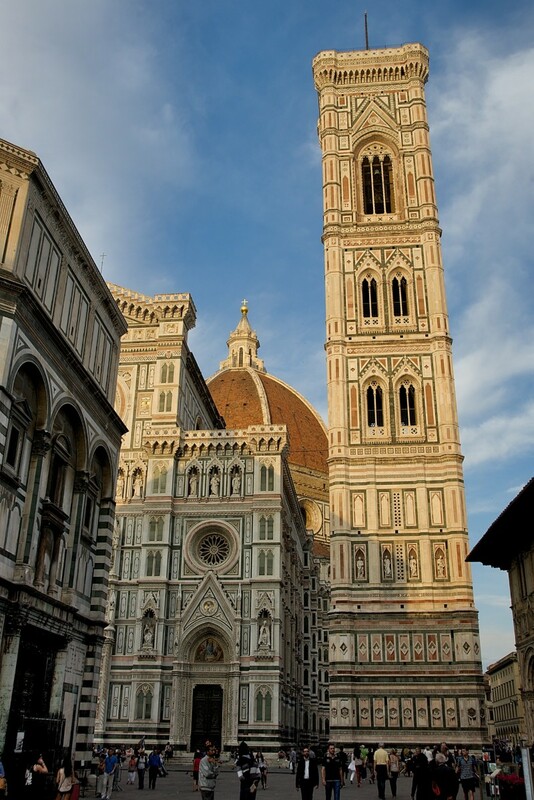 As most people know, Giotto’s Campanile (Bell Tower) is a free-standing tower that is part of the complex of buildings that make up the Florence Duomo. Standing adjacent the Basilica of Santa Maria del Fiore and the Baptistry of St. John, the tower is one of the showpieces of the Florentine Gothic architecture with its rich sculptural decorations and the polychrome marble encrustations. This slender structure stands on a square plan with a side of 47.41 feet (14.45 meters). It is 277.9 feet tall (84.7 meters). On the death in 1302 of Arnolfo di Cambio, the first Master of the Works of the Cathedral, and after an interruption of more than thirty years, a successor was chosen in 1334. 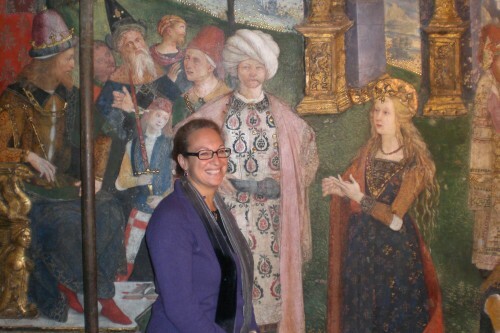 The lucky man was the celebrated painter, 67-year-old, Giotto di Bondone. 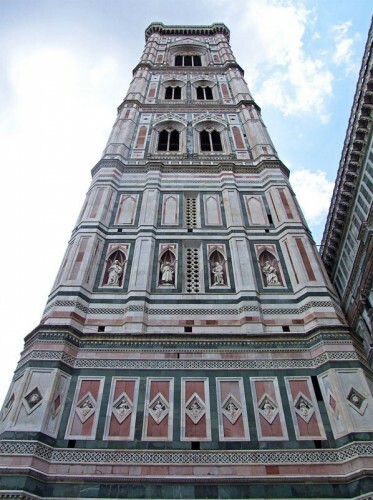 Although he was charged with the entire cathedral building project, Giotto concentrated his energy on the design and construction of a campanile for the cathedral. His design was in harmony with Arnolfo’s polychrome theme for the cathedral. The first stone was laid on 19 July 1334. 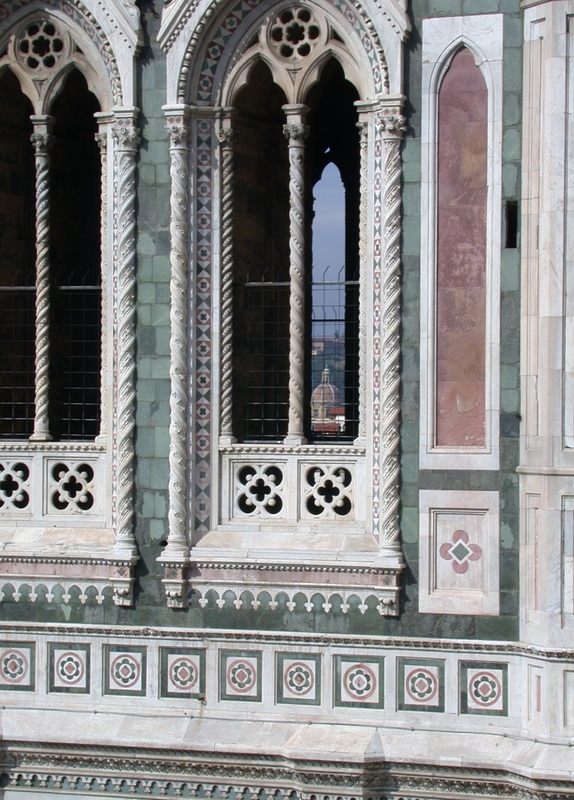 When Giotto died in 1337, he had only finished the lower floor with its external marble decoration of geometric patterns of white, green and pink marble. His painter’s ethos led him to proceed with the external revestment while the building was going up, thus slowing down its completion. White marble from Carrara, green marble from Prato and light red marble from Siena decorated the surface and a series of hexegonal tiles in relief divided the bottom layer in a classical manner. This lower floor is decorated on three sides with bas-reliefs in hexagonal panels, seven on each side. When the entrance door was enlarged in 1348, two panels were moved to the empty northern side and only much later, five more panels were commissioned from Luca della Robbia in 1437. Andrea Pisano, a goldsmith who learned to sculpt, was famous already for the South Doors of the Baptistery when he succeeded Giotto as Master of the Works in 1343. (Why didn’t the Woolmaker’s Guild, which was charged with paying for the construction, find an architect for the Master of the Works?) 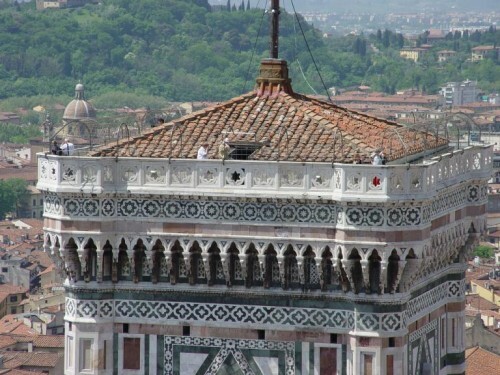 Pisano continued the construction of the bell tower, reportedly scrupulously following Giotto’s design, especially for the bas-relief hexagonal panels. Pisano built two more levels, with two rows with four niches on each side and each level, but the niches on the second row are empty and covered in marble. The four statues on the west side were sculpted by Andrea Pisano and date from 1343. These Gothic statues are rather high-reliefs, left unfinished at the back. 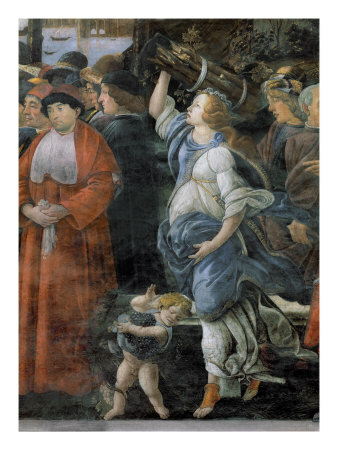 They represent the Tiburtine Sibyl, David, Solomon and the Erythraean Sibyl. The four Prophets on the south side are already more classical in style and date between 1334 and 1341. The statue of Moses and the fourth statue are attributed to Maso di Banco. The four Prophets and Patriarchs on the east side date from between 1408 and 1421: the beardless Prophets by Donatello (probably a portrait of his friend, the architect Filippo Brunelleschi), the Bearded Prophet (perhaps by Nanni di Bartolo), Abraham and Isaac (by Donatello and Nanni di Bartolo) and Il Pensatore (the thinker) (by Donatello). The four statues on the north side were added between 1420 and 1435: Prophet (probably by Nanni di Bartolo, however signed by Donatello), Habacuc (a masterpiece of Donatello, a tormented and emaciated prophet, portraying Giovanni Chiericini, an enemy of the Medicis), which the Florentines called “lo Zuccone” or pumpkin, because of his bald head, Jeremias (by Donatello, portraying Francesco Soderini, another enemy of the Medicis), Abdias (by Nanni di Bartolo). Now, as far as I can tell, Pisano did not die on the job. It seems that he was busy building the bell tower from 1343 until sometime in 1346 when there may have been financial problems that stopped the work on the cathedral site. In 1347, he is listed as the Master of the Works for the cathedral in Orvieto. 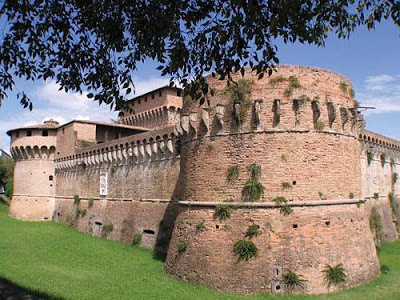 But in 1348 Pisano disappears. He was 58. The best guess is that he was a victim of the Black Death. Two thirds of Tuscany’s city dwellers died in 1348. The Black Death, for obvious reasons, slowed work on the Duomo to a standstill for a few years. Francesco Talenti was named the Master of the Works for the Florence cathedral project in 1351. He actually was an architect, as well as a sculptor. He also had worked on the Duomo in Orvieto. Talenti designed the top layers of the bell tower. Each level is larger than the lower one and extends beyond it in every dimension so that the difference in size counters the effect of perspective. As a result, the top three levels of the tower, when seen from below, look equal in size to the lower levels. The top, with its breathtaking panorama of Florence and the surrounding hills, can be reached by climbing 414 steps. The bell tower was finally finished after twenty-five years of construction in 1359. 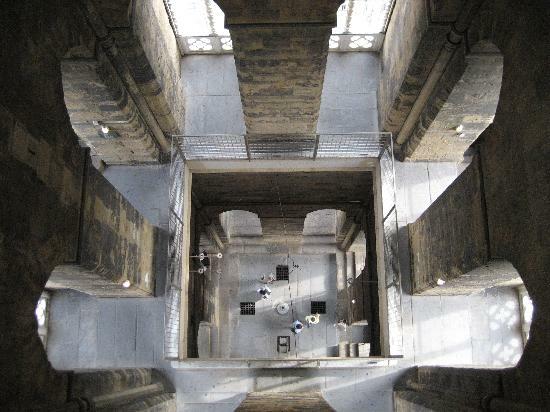 Reportedly, when Emperor Charles V of Hapsburg saw the bell tower, he said that it was such a precious work of art that it ought to be preserved under glass. Since I live in the Duomo neighborhood, I have a love/hate relationship with the bells. Usually I don’t notice them. And then there is the rest of the time. 1) The main bell is named for Santa Reparata and was made in 1475. 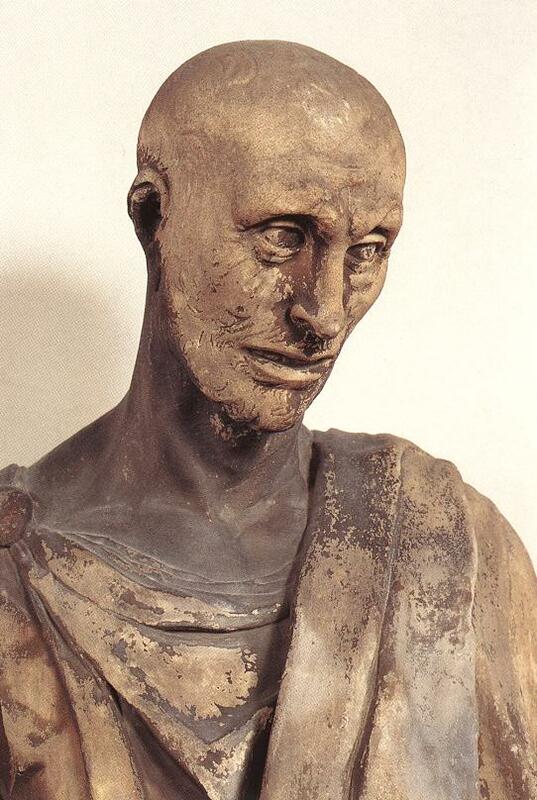 Damaged, it was recast by Antonio Petri in 1705. It weighs 15,860 lbs. 2) The bell called ‘della Misericordia’. Damaged, it was recast by Carlo Moreni in September of 1830 and weighs 6,414 lbs. 3) The bell called the ‘Apostolica’, fused in April of 1516 by Lodovico di Guglielmo and weighing 5000 lbs. 4) The bell called ‘la Beona’. There is no information as to when or by whom it was cast. Its weight is estimated at 2760 lbs. 5) The bell used for the office of Terce; it bears the name ‘Maria Anna’ and again nothing is known of its history. It weighs 2152 lbs. 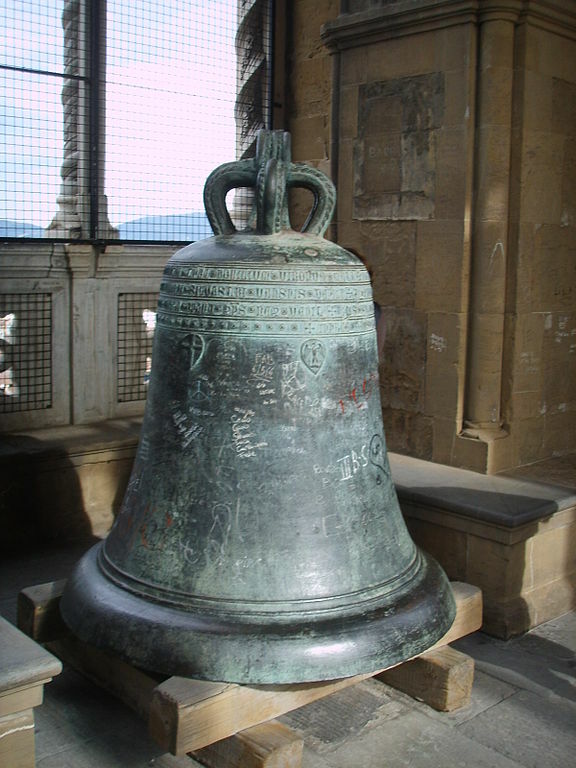 6) A small bell cast November 4, 1513, weighing 1400 lbs. 7) The smallest bell, cast in December of 1514 and weighing 1000 lbs. 6) The ‘Annunziata’, of 339 kg., sounds LA and has a diameter of 0.95m. 7) The ‘Immacolata’, of 237 kg., sounds SI, has a diameter of 0.75m. Each of the recast bells bears its own name and, in bas-relief, the arms of Cardinal Archbishop Elia Dalla Costa, who consecrated them in the Baptistery on June 10, 1956. 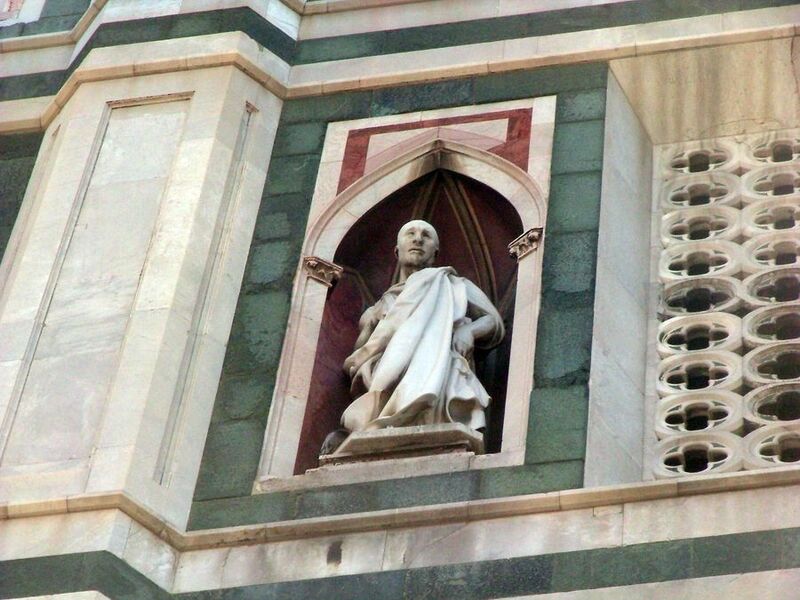 They also bear the emblems of the Opera di Santa Maria del Fiore and of the City of Florence. On the last four there are in addition Latin verses. 4) “ut in summis solemnitatibus” (on the most important solemn feastdays). At present several bells are rung together only for liturgical celebrations involving the archbishop or the canons. Bells rung singly indicate, every day, the “Angelus” (at 7AM, noon and at sunset, the penultimate hour of the day according to the ancient canonical way of computing the hours (11PM), which invites all to recite the ‘Credo‘ for the dying, and the first hour of the following liturgical day (one o’clock), which recalls the custom of reciting the ‘Requiem‘ for the dead. A bell is also rung to indicate the suspension of work for the lunch break (11:30AM) and the death of a Guard Captain of the Confraternity of Mercy. In any event, there are plenty of bells heard throughout the day and night in the historic center of Florence. 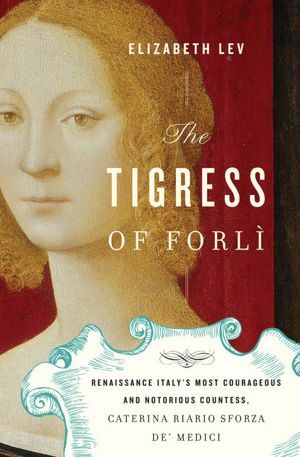 Tuscan Traveler’s Picks is expanding its focus to include books and movies with Italian themes. 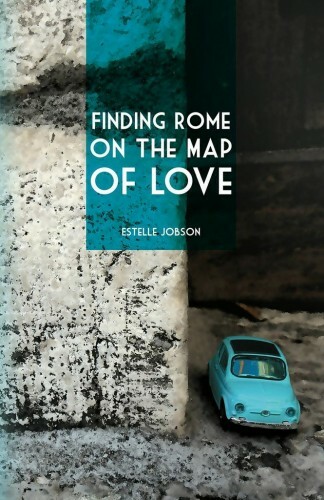 I am pleased that Estelle Jobson, author of Finding Rome on the Map of Love, agreed to participate in the first author interview. Estelle has offered to give one free copy of Finding Rome on the Map of Love to the person who comments on this post with the best tale about a cultural misunderstanding they observed, heard about or experienced in Italy. Click here or at the end of the post to leave your story. 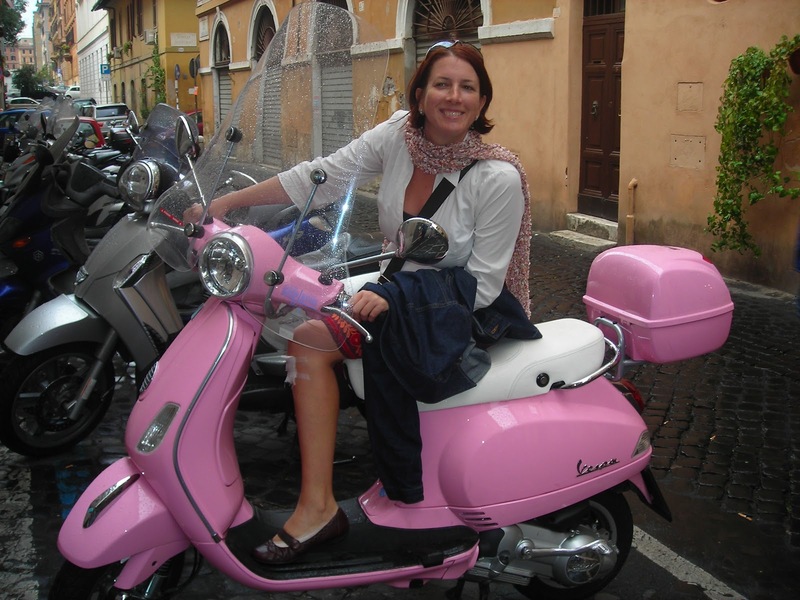 Estelle Jobson chose to leave a great job in South Africa to follow love and adventure to a life as “Signora Stella” in a quiet neighborhood on one of the highest hills of Rome. After more than dozen years working in all aspects of book publishing, she found herself tossed into the writing end of the business as she kept a journal of the joys, frustrations, and mysteries of life off the fast track in a country not her own. That journal became Finding Rome On The Map Of Love. Life then led Estelle to Geneva where she once again has a busy day job. Her book, set in the seasons of Rome, is a fitting reminder that its good to take that unfamiliar path and Italy is the perfect place explore the map of love. I loved the writing and the humor of Finding Rome on the Map of Love. Is this your first book and do you plan to write another? Grazie! This is my first book, yes, although in my publishing career I have brought hundreds of books into the world for other authors. 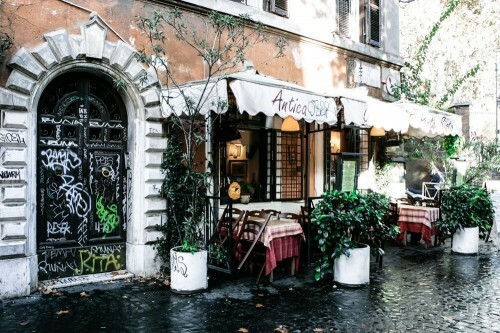 Right now, a great deal of creative energy goes into marketing Finding Rome, which deserves its rightful début. I wrote it over a year when I was a casalinga (housewife) and had the time and leisure to ruminate thoroughly and creatively. Such freedom and creative space is now limited by the otherwise very rewarding matter of earning a ‘proper’ income again. But I am brewing ideas on writing about a very different matter, women’s bodies and health, using humour to cloak information and provoke thought. Your book is a meditation on assimilation (a South African expat in Italy). 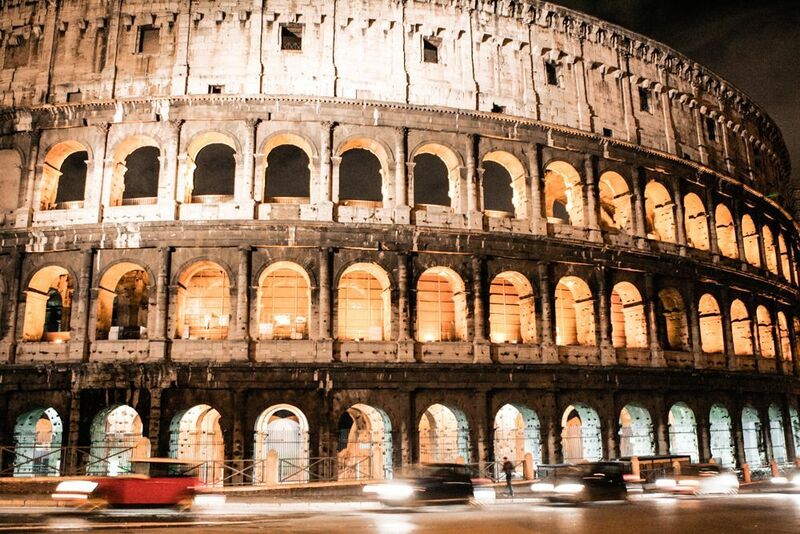 How long did you live in Rome and have you lived anywhere else in Italy? ‘Meditation’ is a good way of phrasing it, because living in Rome for 3 years gave me a chance to test-drive the mantra that emerges in Chapter 1: ‘You are enough. You have enough. You do enough.’ I managed to turn this into a way of life, effectively, even though now I am back in a conventional working life. I turned myself from a manic, frazzled career woman to a more balanced, less ambitious and considerably more contented person. This evolution is thanks largely to my time in Rome. Have you traveled in Tuscany and do you have a favorite stop in Tuscany? 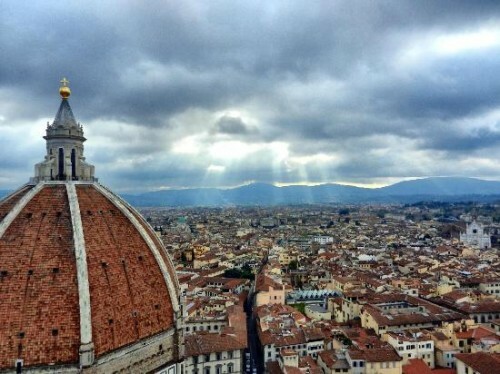 Yes, I have visited Florence itself, numerous times. I don’t have a specific spot that I love most. I travelled west to Livorno, and south down that coast, inland to Viterbo, and of course, back to Rome. Monte Argentario is spectacular, and I loved exploring the Etruscan ruins, from Tuscany to Lazio. Do you have any observations about the difference between Florentines and Romans? Yes, indeed! Apart from differences in vocabulary (e.g. schiacciata vs. pizza bianca), I would say the Florentines are generally a little more northern; meaning more reserved, and as they speak a ‘better’ Italian, more clearly enunciated, it is easier for me to understand. 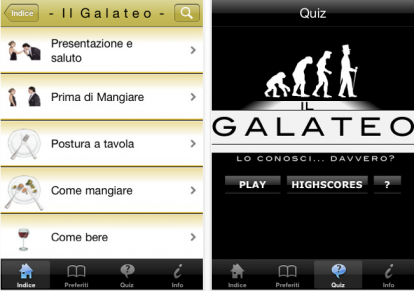 They say it themselves—their dialect is what Dante Alighieri formalized into what became standard Italian. I tried fiercely to get my head around the Roman dialect, but didn’t get much further than ‘Awu’ (hey), ‘Mo’ (now), and ‘Namo’ (Let’s go). 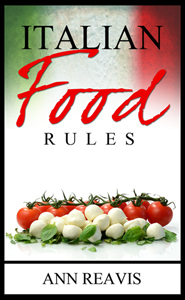 I love the Italian Food Rules (i.e. “no cappuccino after 10am”). What is your favorite Food Rule and why? Olive oil, always, and butter very rarely. In this shift from butter to olive oil, I evolved from a blunt-palated anglosaxon to being able to discern a good olive oil from a splendid one. To this refining of my palate, I dedicated the chapter: ‘An ode to the olive’. I am studying Italian Life Rules (i.e. colpo d’aria) right now and I found one in Finding Rome on the Map of Love that I had recognized subliminally, but never put a name to: Italians always wear bathrobes with hoods. What is your favorite Italian Life Rule? I just love coprire la pancia (covering your stomach), which implies that one gets a nap in after lunch, with one’s tummy snugly covered. Accordingly, Italian men wear vests as a matter of course, and I adore this mélange of tenderness with masculinity: to ward off the peril of a chill on one’s tummy. I read that you seem to enjoy learning languages. Which languages do you speak and in what order did you learn them? Yes, learning languages has long been a hobby and a love of mine. I grew up in an English-speaking home, heaving with books. Afrikaans was taught in South African schools from quite early on and in high school, I started with French where my linguistic love affair really took off. At university, I did a pure-languages BA, majoring in French, English, and Xhosa (a South African language, Mandela’s mother tongue). As there were no additional fees involved at varsity, I did extra courses, German and beginner South Sotho (another African language). Only years later, in my thirties, did I start learning Italian after I met the man in question. But no, I don’t speak them all that well and sometimes I jumble them up. Likewise, you seem to have wanderlust. Which countries have you lived in for more than six months and in what order, starting at birth? Ooh, yes! ‘Sagittarius: have suitcase, will travel’. 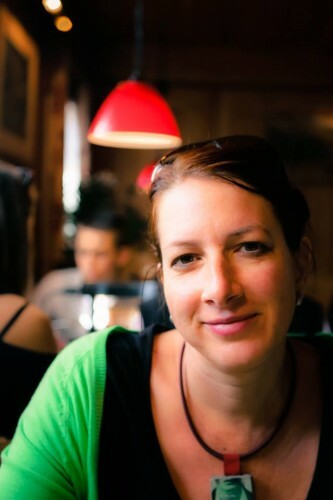 I grew up in Cape Town and, as an adult, moved to Johannesburg for my first job. In my early thirties, I studied in New York for 15 months, then lived in Geneva for 2.5 years, then went back to Joburg for 4.5 years. Rome came next, for 3 years, and 2.5 years ago, I returned to Geneva. It suits me much better the second time around. Which country that you haven’t lived in would you like to try for six months to a year? I am more attracted to cities, than countries, as such. Which cities? Paris (big) or perhaps Lyon (smaller). Frankfurt. Sydney. Seattle. Toronto. Chicago. London. Bombay. How many chances do I get? As a booklover, do you box up a library as you move from country to country or have you given in to an eReader or do you have another solution? I do schlepp books around with me, but circumstances have forced me to become frugal. So I use local English libraries, buy used books from English church sales and the like, and then I swap with friends and colleagues. Occasionally, I donate books to public libraries or leave them in airports. I haven’t made the e-reader transition, because I love turning pages and I appreciate the mastery of a well-produced book. Italy seems to lend itself to memoirs. You are now living in Switzerland. Is there a genre of expat-living-in-Switzerland memoirs? Can you see yourself writing one? 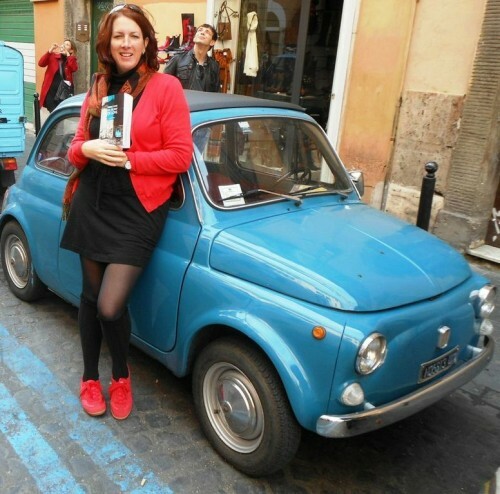 Italy has been the source of inspiration for numerous ‘travel’ writers, indeed, I think because Italy is such a total-immersion setting and so rich in quirky anecdotes, steeped in history. Such writing has not taken off in quite the same way in Switzerland, on the whole. Might this be because the Swiss are less loquacious and more inscrutable? In Geneva, which is more of a mini-global village, however, swissness is fairly diluted. My friends and colleagues hail from all corners of the globe. A few are even Swiss. In the course of a day at work, I may speak French, English, Italian, and maybe some rusty German. I don’t think writing about Switzerland is going to be my next writing project, however. I am keen to write about the landscape of the body. You don’t describe in much detail about how your Italian partner (“the Metrosexual”) assimilated to South Africa. Do you think Italians assimilate when they move to another country? On the whole, I don’t think first-generation Italians assimilate particularly well, no. Their children might, but those who are newly uprooted tend to stick to what they know and trust, that which is di fiducia. This includes brands, cuisine, and social familiarities, such as finding a local Italian butcher, hairdresser, shoemaker, and tailor. For example, try as I might, I could not persuade the Meterosexual that Disprin is just as good (no, identical to) aspirina. He made a tentative go at South African braais (barbecues), but was not able to keep up with the copious drinking marinated by the fierce African sun. In the same vein, did “the Metrosexual” become “more” Italian when the two of you moved to Rome, and, if so, how? I wrote about this process in ‘Love is like an artichoke‘, about the slow peeling off and identifying of layers of identity. 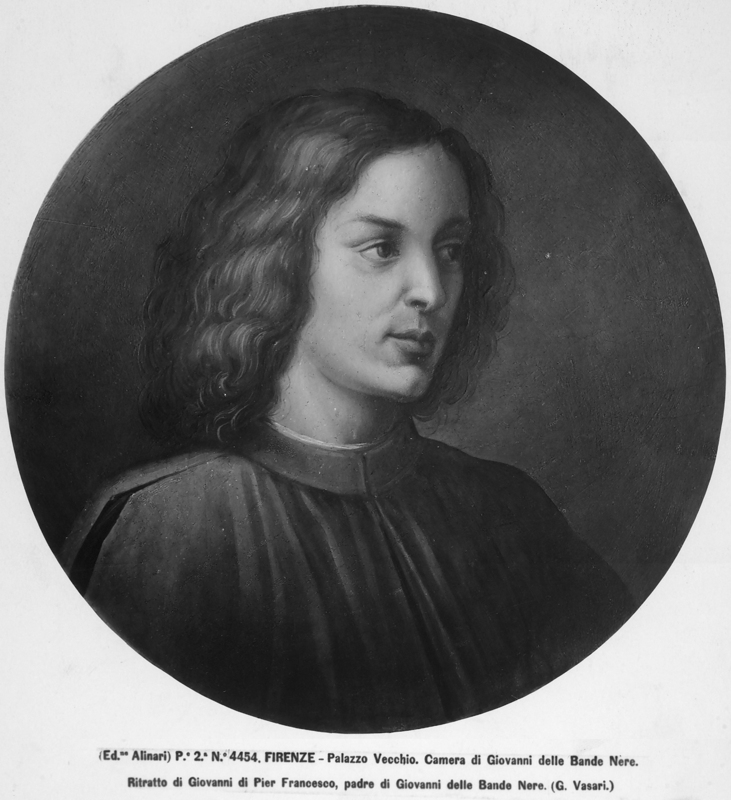 He did not change, but my ability to differentiate between what was him, what came from his family, what was Florentine, or broadly Italian (and then, which kind of Italian), became much more nuanced. What was the germinating idea for your book Finding Rome on the Map of Love and what was its path to publication? 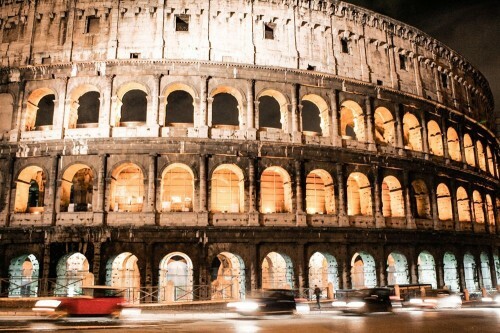 When I moved to Rome, I was free to not work for the first time in my adult life. This luxury was strangely unhinging too. Simultaneously, I was flung into a brand-new setting and was processing cross-cultural conundrums daily, which triggered a flood of creativity. I carried around notebooks and scribbled away madly, recording snippets of conversations, words, and observations of events around me. From that heap of chaos, I pulled out themes and wrote them up, one by one, chapter by chapter. I wrote 45 chapters over a year, each one under 2,000 words and set myself the goal of 70,000 words. In so doing, I processed my personal path and deepened my understanding of Italy. You have written essays that have been published on Transitionsabroad.com on the topics relating to, in most part, navigating the bureaucracy of Italian life. Do you plan to create a book of those and other similar essays? Transitionsabroad.com commissioned me to write how-to articles for ex-pats settling in Italy, which gave me a yet another opportunity to turn life’s experiences into writing. Feedback on internet-based writing is often immediate, direct, and gives me a bit of a thrill, so I have written a good number of pieces as a guest blogger, here and there. I have not thought of bundling them together, mostly because I regard writing for the internet as fast food and book publishing as fine dining. Do you still drive a Vespa? I have a Sym Tonik 125cc now, simply because the dealer was operating mid-summer. Guess where the Vespa dealer was? On holiday. In Italy! But actually, I ride my bicycle much more. I am looking forward to seeing myself being quoted as a ‘chic cyclist’ in a bike book (The Girls’ Bicycle Handbook: Everything You Need to Know About Life on Two Wheels) to be published next month. Estelle found Rome safer on a Vespa than on foot. Do you still attend writing/publishing conferences? Which is your favorite and why? On and off, yes. My favourite is the Frankfurt Book Fair, which is a mindboggling beehive of publishers, authors, exhibitors, and events. As Europe’s biggest book fair, it is 27 football fields worth of books and makes me feel, as a publishing person, that I am part of a vast, thriving, and magnificent world of ideas that become ink. What is an Interrobang? What place does it play in your life and do you think it will find favor on Twitter? 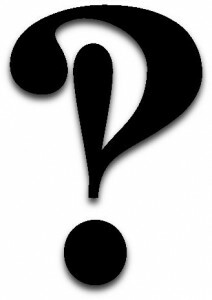 The interrobang is a punctuation mark, merging an exclamation mark with a question mark. It was developed in the early days of printing and destined for great things, but did not thrive. The ‘? !’ conveys both surprise and questioning. No other punctuation mark in English communicates two emotive elements at once. Not being very on active on Twitter, I can’t rightly say which direction it might go in, but the interrobang would certainly fit well into the twittersphere. Bring it on!? Ask and answer two questions that are not included here, which you think should be part of any interview with you. Who is your favourite feminist? Can I have two? Both of them think (thought) out of the box. Helen Keller was a lyrical and prolific writer. 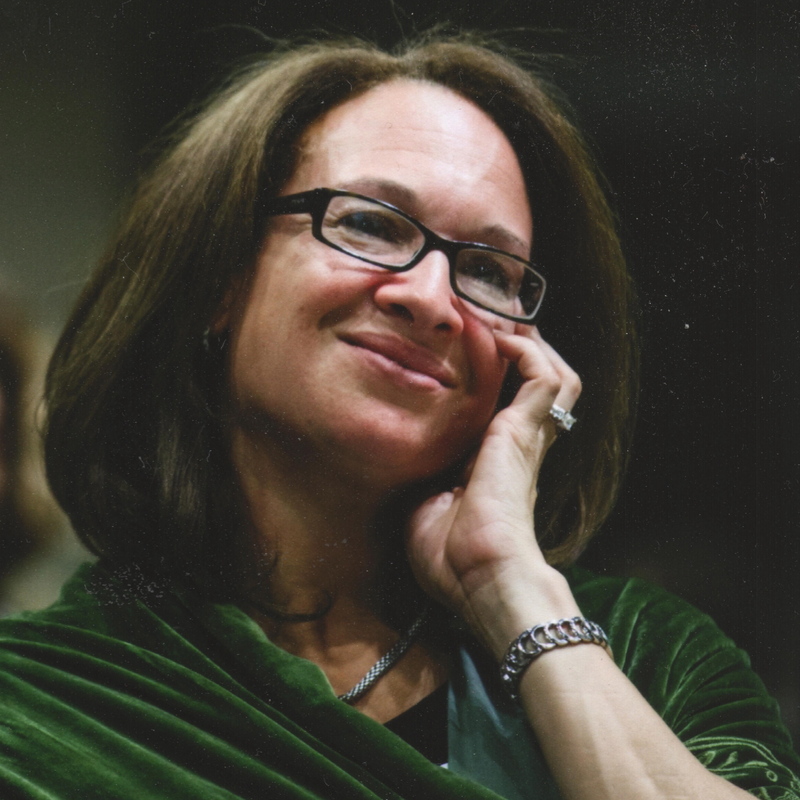 She mastered several languages, read widely, and was a vocal activist for women’s and workers’ rights. And then Inna Shevchenko, of Femen, who essentially turned a little known Ukrainian group of activist-intellectuals into an international movement. Their success lies in a particularly deft and radical move: having women write slogans of protest on their own bodies. Who encouraged you most to write when you were young? Lots of English teachers did. But at my high school, Will van der Walt, was the most emphatic and inspiring. He took my literary interests very seriously and bestowed the utmost respect upon the teenage angst I spilled out upon the page. You will see that I mentioned him in the Acknowledgements of my book. Remember: Estelle will give a free copy of Finding Rome on the Map of Love to one lucky person who comments on this post with the best tale about a cultural misunderstanding they observed, heard about or experienced in Italy. Click the link below. Update: Ansa Liebenberg won the free book for her comment and tale. Find Estelle on Facebook, too. In modern times when we are reminded that President Lyndon Johnson would hold meetings while sitting on the toilet; or there is a kerfuffle throughout the Twittersphere when Mayor de Blasio (correctly according to Italian Food Rules) ate pizza with a knife and fork; or tourists in Florence insist on greeting strangers with “Ciao!”; or foreign students think flip-flops and cut-off shorts are proper attire when touring a church, it is comforting to know that at least the Italians have Life Rules that govern almost every aspect of their daily existence. These rules were set almost five hundred years ago. So begins Galateo, Trattato de’ Costumi (Galateo: Treatise on the Rules of Polite Behavior) a short manuscript on good manners, written by the retired, but worldly (he was known to compose racy poetry), archbishop and diplomat Giovanni Della Casa (1503-1556). 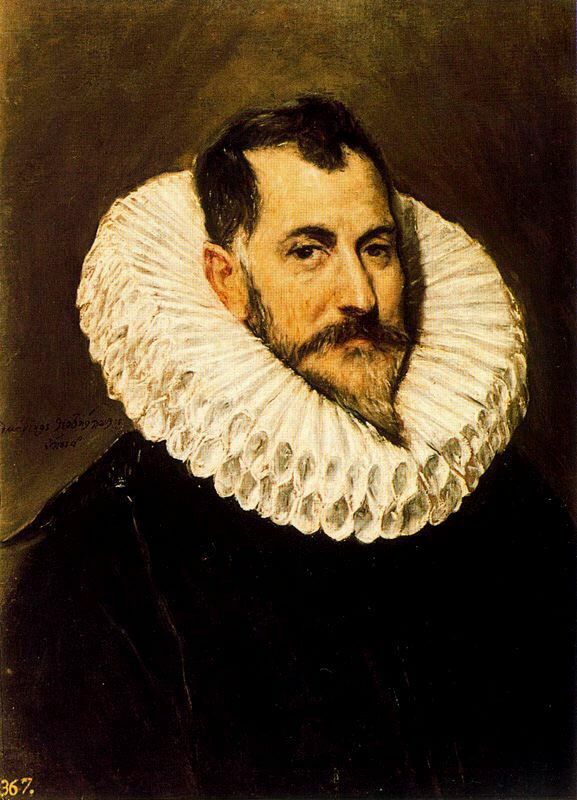 First published in 1558, two years after the author’s death, it sets forth the rules on how to comport oneself in polite society. Della Casa was born in Borgo San Lorenzo, a small town north of Florence, to a noble Tornabuoni mother and a highly educated father. 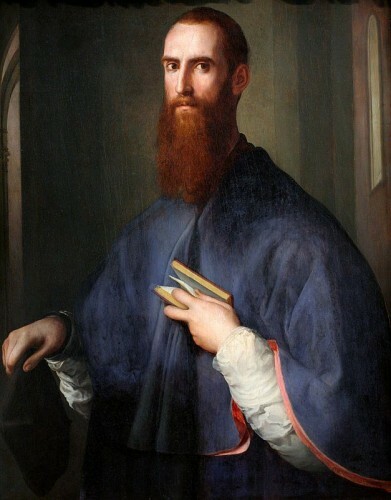 He lived in Florence and Rome at the same time as Michelangelo. He attended university in Bologna and after deciding on an ecclesiastical career, he rose quickly to the position of Archbishop of Benevento, a small city northeast of Naples. His lasting legacy, however, is Il Galateo. 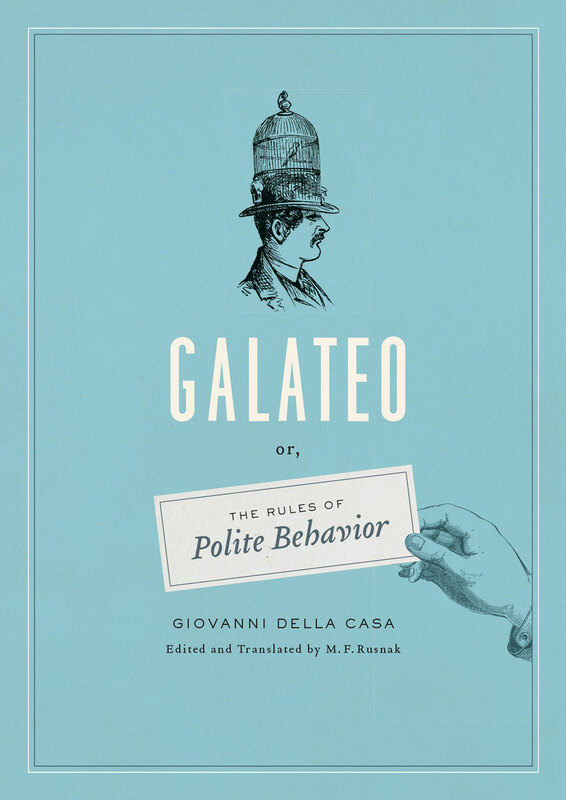 As relevant today as it was in Renaissance Italy, Galateo deals with subjects as varied as dress codes, charming conversation and off-color jokes, eating habits and hairstyles, and includes citations to the works of Dante and Boccaccio. Less a treatise promoting courtly values or a manual of savoir faire, it is rather a meditation on conformity and the law, on perfection and rules, but also an exasperated reaction to the diverse ways in which people make fools of themselves in everyday social situations. As such, it holds a distinguished place among Italy’s rich history of etiquette books. 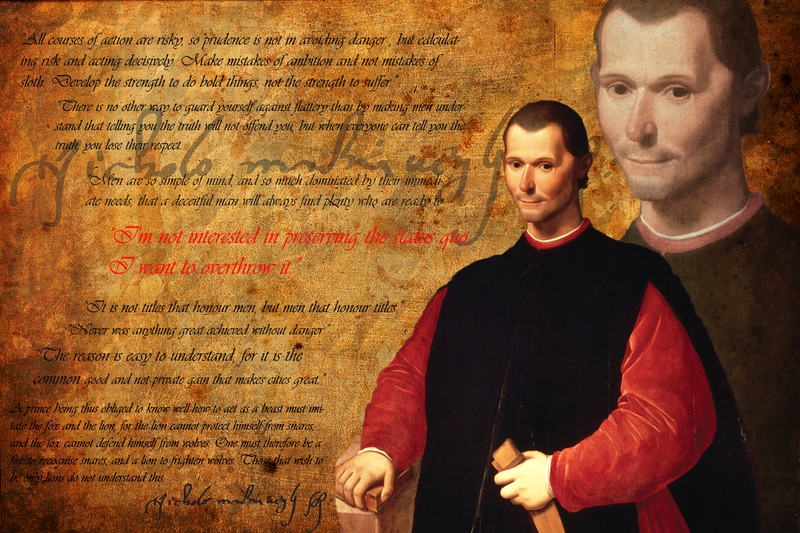 These range from Andreas Capellanus’s Art of Courtly Love, which describes how a medieval knight should behave to win the favor of his lady; to Baldassare Castiglione’s The Book of the Courtier, which recommends sprezzatura, the Renaissance equivalent of being nonchalant, and Machiavelli’s The Prince, devoted to realpolitik and therefore, stressing effective, rather than genial, behavior. 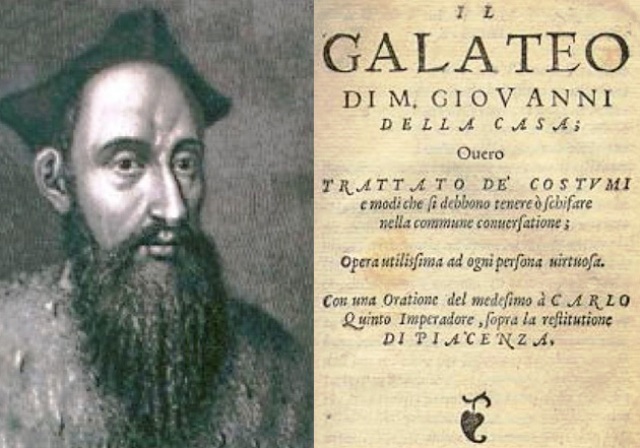 In its time, Galateo circulated as widely as Machiavelli’s Prince and Castiglione’s Courtier. Mirroring what Machiavelli did for promoting political behavior, and what Castiglione did for behavior at a noble court, Della Casa described the refined every-man caught in a world in which embarrassment and vulgarity prevailed. Galateo was written at a time when the medieval openness about bodily functions was being discouraged. 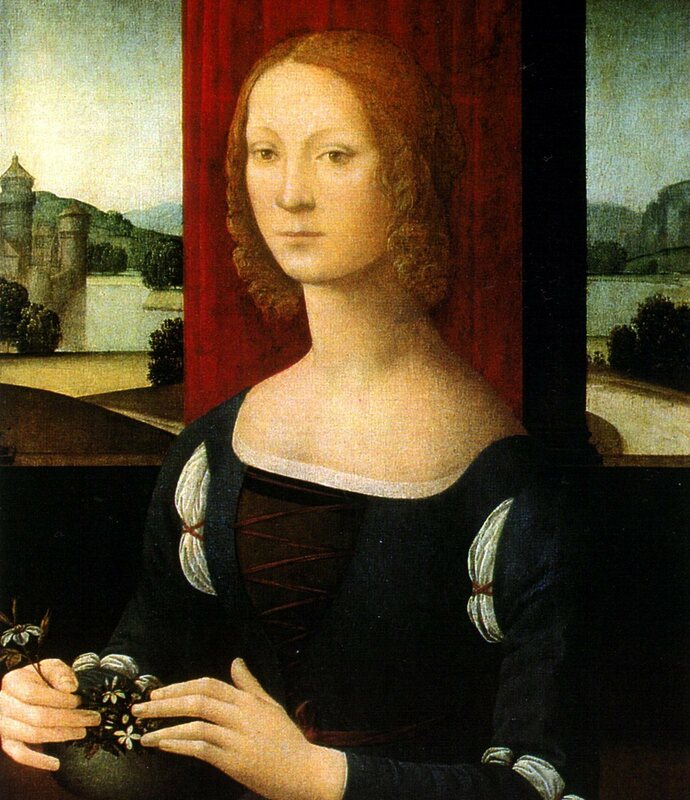 Renaissance etiquette writers were all begging their readers to stop spitting and touching themselves in public. Della Casa’s explanation for his rules of dress, table manners, gestures and speech is the need to avoid offending others. That is the basic bargain required to live in peaceful communities. Naturally, it never happens without a struggle. Not all Europeans agreed with Della Casa. At the end of the 16th century, English readers assumed that Thomas Coryate , one of the earliest travel writers, was joking when he reported that Italians did not attack their food with hands and hunting knives as did normal people, even normal royalty. 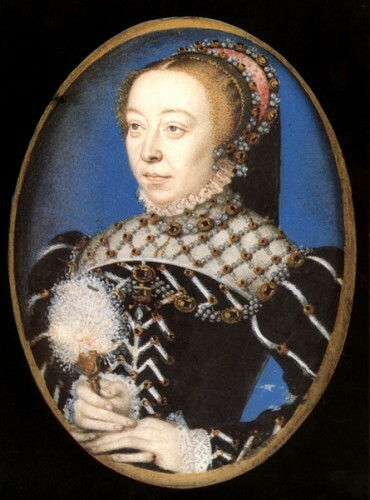 Those prissy Italians wielding forks arrived at the royal court in France in 1533 with the Italian Catherine de’ Medici when the pope arranged for her to marry the future King Henry II. A century later, Louis XIV was supposedly so annoyed to see a court lady use one that he had hair put in her soup. In Richard II, Shakespeare, writing about forty years after Galateo was published, has the Duke of York complain to the dying John of Gaunt about “Report of fashions in proud Italy, / Whose manners still our tardy apish nation / Limps after in base imitation.” The French and the English disparaged Italian etiquette, only to lay claim in succeeding centuries to being the cultures of refinement, civility and propriety. Della Casa’s message is: Don’t be disgusting. Pretty much everything that comes out of a bodily orifice met his definition of disgusting — so much so that the mere sight of someone washing his hands would upset people, as their minds would leap to the function that had necessitated that cleansing. The counsel itself remains timeless: “Most of us hate unpleasant and bothersome people as much as evil ones, maybe even more.” In modern times, the object of Della Casa’s disparaging comments would be the woman on the bus putting on her makeup in a cloud of perfume, someone on the park bench clipping his fingernails, the teenager who insists on tapping his feet to the music leaking out of his earbuds one seat over in a plane, and those who chat or conduct business on their cell phones in a restaurant. “You do not want, when you blow your nose, to then open the hanky and gaze at your snot as if pearls or rubies might have descended from your brains. This is a nauseating habit not likely to make anyone love you, but rather, if someone loved you, he or she would fall out of love right there,” wrote Della Casa to his nephew. To read Il Galateo is to have “a viable travel guide to acting Italian in Italy.” To follow its lessons is a big step toward being Italian.